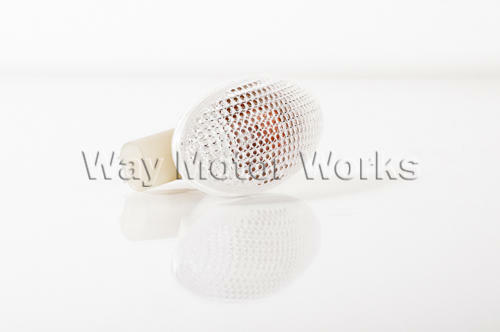 Clear Side Scuttle Turn Signals for 2002-2006 R50 MINI Cooper, R53 Cooper S and 2005-2008 R52 MINI Cabrio. These clear turn signals came stock on the Cooper S, but can be put in your R50 justa Cooper to give you a better look. Also as your MINI gets old the plastic on the back of these can get brittle and they will just fall out going down the road.